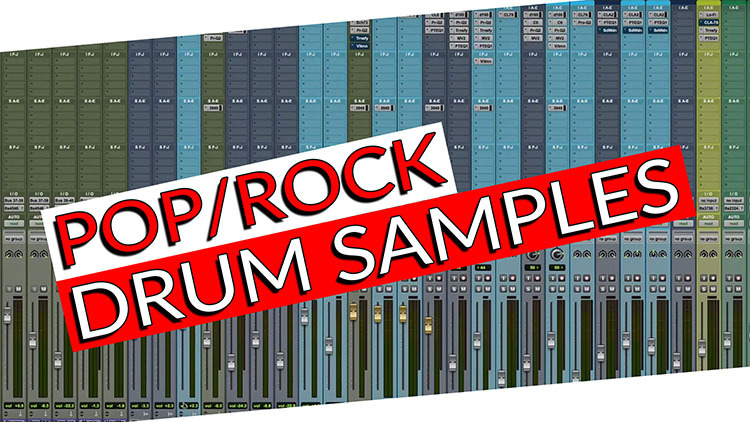 Today’s video is an excerpt from our course called “Mixing Pop/Rock in the Box” In this excerpt, we take a look at some of Ken Sluiter’s and Erik Reichers’ mixing techniques when it comes to Drum samples for pop/Rock. Mixing Pop/Rock in the Box is one of the best resources online for mixing pop/rock, along with 2 other courses that we’ve previously released: Mixing Pop/Rock with Bob Horn and Mixing at ECHO Bar studios. Ken has worked alongside legendary producers and engineers, such as Andrew Scheps, Greg Fidleman, Joe Chiccarelli, and Jim Scott. Fast forward, Ken’s credits include a staggering list of talent like James Blunt, Weezer, Augustines, Ok Go, Heart, Marc Almond, Jerry Lee Lewis, and many others. Erik Reichers has produced, mixed, and engineered for some of the recording industry’s most notable artists and executives including Bono, Snoop Dogg, Eric Benet, Ron Fair, Ryan Tedder, and DJ Battlecat. In 2011 with the help of his friend, producer, mixer and engineer Bob Horn, Erik designed and built the Echo Bar Recording Studios. As you can see from the excerpt below, Ken and Erik explain every move they make in detail and gives you a deep understanding of their thought processes, so you can apply the same concepts to your future mixes. If you’re serious about taking your Pop/Rock mixing skills to the next level, check out the Mixing Pop/Rock Bundle it will be the best thing you’ve done all year! With the Mixing Pop/Rock Bundle you are essentially receiving three courses for the price of one! Don’t forget! You also get the multitracks for the 3 songs that your mentors are using so you can follow along every step of the way, learn their techniques at your own pace and use your final mix on your resume to attract new artists!